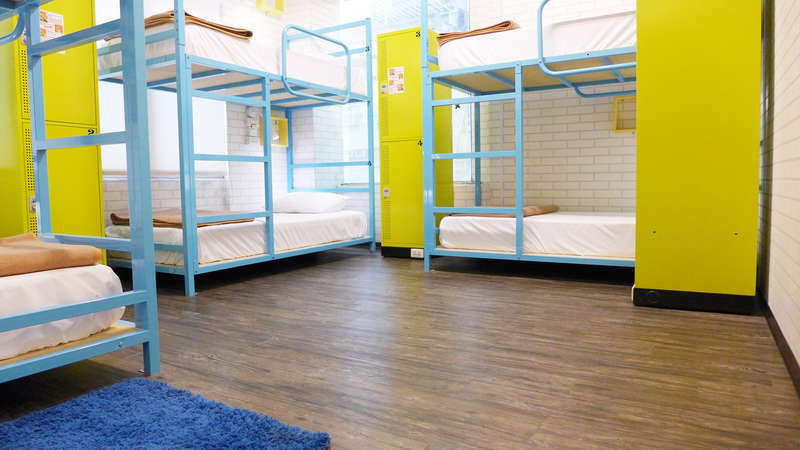 Homey Hostel, Taipei Main Station is located at the center of mass transport network, Taipei Main Station. Within 10 minutes of commute due East, you can discover the Zhongshan area which is called girl's shpping heaven. By heading west, you'll have the opportunity to experience the historical Taipei atmosphere. A typical morning starts with our guests sitting in the large common area chatting over a cup of coffee. 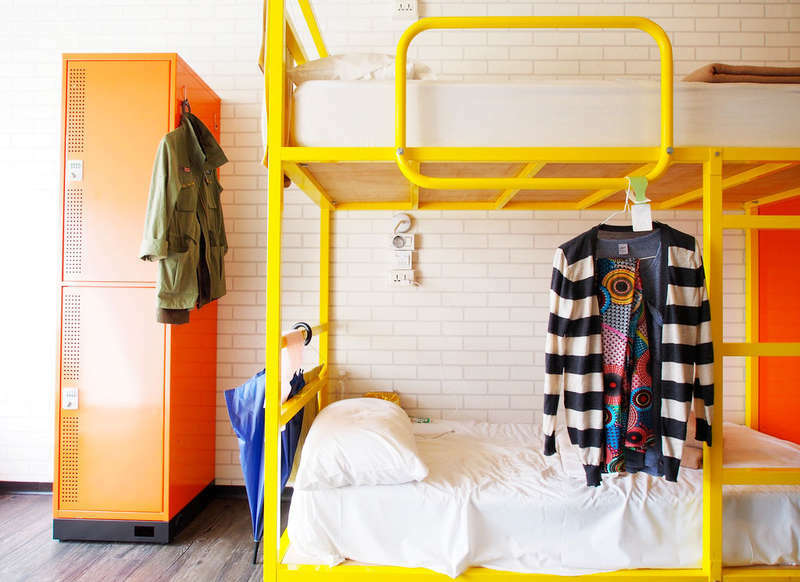 The friendly atmosphere makes Homey an easy place to make friends with visitors from all over the world. You can enjoy warm toast and fresh fruit prepared by our staff. There's also plenty of natural light from the full wall-to-wall glass windows. Your security is our priority. Every guest has their own key card and locker. There is a security guard on duty 24hr a day on ground floor. There are also security monitors in the common area. We highly value the importance of a clean facility, therefore every bed is sanitized before a new guest checks in. Every bed sheet is disinfected and ironed in the laundry house before delivered to the facility. We have a full time house keeper on staff. If you meet her, kindly give her an encouragement for her hard work. Business hours: Taiwan Taoyuan Int’l Airport 05:40-01:30 (03:00 additional departure), Taipei Main Station 04:30 – 23:50 You will be dropped off at the east side of Taipei Railway Station. Please walk toward Exit North 3 . At Exit North 3, there is a L shape pedestrian crossing across Civic Blvd.Go across Civic Blvd by the crossing and walk toward the Macdonald’s sign in front of you. Turn left onto ChangAn W. Rd at the M sign and our place is at 7F, No. 180. Take MRT from SongShan Airport and transfer at ZhongXiao FuXing Station to blue line and then get off at Taipei Main Station. Please come out from Exit M1 and you will see Civic Blvd at your right-hand side. Keep heading ahead along Civic Blvd (Shimin Blvd) until you see a L shape pedestrian crossing. Go across Civic Blvd by the crossing and you’ll see a big Macdonald’s sign in front of you. Turn onto ChangAn W. Rd. at the Macdonald’s sign and we’re at 7F, No.180. Please come out from Exit M1 and you will see Civic Blvd at your right-hand side. Keep heading ahead along Civic Blvd (Shimin Blvd) until you see a L shape pedestrian crossing. Go across Civic Blvd by the crossing and you’ll see a big Macdonald’s sign in front of you. Turn onto ChangAn W. Rd. at the Macdonald’s sign and we’re at 7F, No.180. Any cancellation received within 7 days prior to arrival date will incur the first night charge. Any cancellation received within 2 days prior to arrival date will incur the full period charge. Failure to arrive at your hotel will be treated as a No-Show and no refund will be given (Hotel policy). No Smoking : Smoking is absolutely forbidden in this whole building. All room type is shared bathroom. Expel Violator: Homey Hostel has the rights to expel serious drunker, molester, and noise maker to keep other guests’ rights intact.